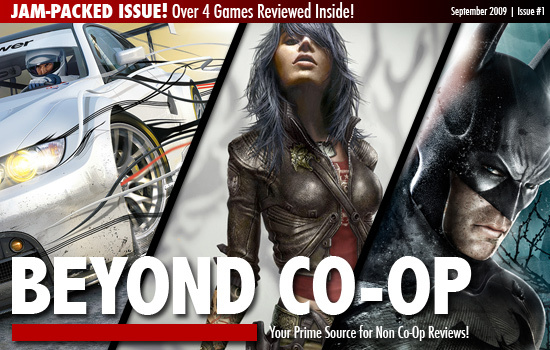 Welcome to a brand new edition of Beyond Co-Op Reviews. We've given the feature a bit of a facelift, and are going to continue to bring you great game reviews of games that don't necessarily have a co-op mode. - Golden Billy - This is a must buy title. Truly excellent in almost everyway. - Silver Billy - A solid title with a few flaws. Multiplayer Confirmed for Batman: Arkham City - But Which Kind? Could Robin's Appearance in Batman Arkham Asylum 2 Mean Co-Op? Page created in 0.5550 seconds.